Many kids start to push back against their parents as they develop a sense of independence, but for some kids excessive defiance signals major behavioral issues. If your child deliberately upsets people and has frequent temper tantrums they may have oppositional defiance disorder (ODD). Often associated with other issues like ADD and ADHD, this disorder can make social interactions and family life quite challenging. Stimuli like violent video games may only exacerbate the angry behavior of a child with ODD. Some of the most effective ways of dealing with ODD are to create boundaries and resist responding with anger. Parents should reinforce positive behaviors and set up clear consequences for problematic behavior. You should also keep your kid with ODD away from media that may encourage them to emulate violence and anger. 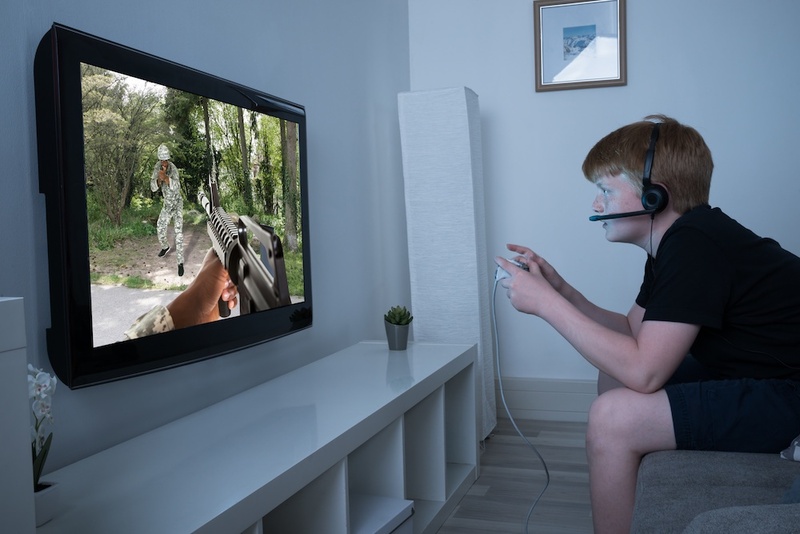 While violent video games may not be the impetus for violence, they can certainly egg on kids who already struggle to keep their temper in check. If your child loves gaming, you don't have to completely eliminate video games from your home. Pivot your child towards real-time strategy games that revolve around exploration and building an economy versus being involved in warfare. You may even want to get your hands on tablet games related to puzzle solving and word searches. There are plenty of ways to encourage your child to develop critical thinking and strategy skills through games without veering into violent territory! Be sure to limit your child's screen time to no more than an hour or two per day. Since many kids with ODD also have ADHD, consider substituting some inside game time with outdoor play to burn off some energy. ODD is a challenging behavioral disorder, one that can not only frustrate kids but leave parents depleted. A big part of getting through it together means taking time to care for yourself and avoiding triggering your child. Before you send your child to a sleepover or play date, talk to the parents about whether or not violent games will be present. By remaining proactive, you may be able to stave off a behavioral outburst.